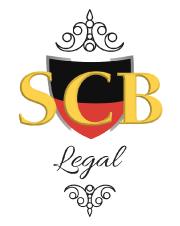 SCB Legal is dedicated to simplifying the law for you. We remove the often cumbersome legal jargon and explain legal terms in an easy to understand manner. Demystifying the law and defining complex legalease is how we make Australian law approachable. A legal dictionary can prove rather overwhelming, so the team at SCB Legal decided to create our own law dictionary and in plain English. We always think about our clients, as well as prospective clients who are trying to be best informed about the law. While Google is a wonderful resource that helps you find and better understand many terms and in a variety of industries, the law is different. Australians are governed by the Westminster system of law, so it’s inaccurate reading legal terms and definitions that are about US law for example. Similarly, even in our own country, there exists both federal and state legislation. The definitions and application of the legislation may vary, based on the state in which you live. This is why SCB Legal’s Useful legal link’s page incorporates resources in NSW and also some that are Australia wide. Another aspect that we’ve been told is difficult, is actually finding what you’re seeking. As is often the case, you know the area of the law to which the legal term applies. However, it’s often complicated remembering the phrase, which is necessary for you to do, in order to consult a legal glossary. We thought it was very important to address these issues. This is why we intend to better index the law by providing you with the terms and phrases arranged via area of the law and alphabetically. The following list is always expanding based on your needs and recommendations. It will continue to evolve over time, so check back regularly to learn even more valuable legal terms and phrases. This is a much lower threshold than beyond reasonable doubt. The test of proving an allegation is true, on the balance of probabilities, is usually used in civil matters or applications. The test is merely that it is more probable than not that the allegations are true. If you also have a claim against the plaintiff, then you can file what is called a cross-claim. In the cross-claim you must set out what you are claiming against the plaintiff (similar to a Statement of Claim but is only completed and filed after a Statement of Claim is filed against you). An example of this where there has been a motor vehicle accident and the plaintiff files a Statement of Claim against you. If you say that the plaintiff is responsible (either partly or wholly) for the damage to your motor vehicle, then you can file a cross-claim seeking orders for the damage you sustained as a result of the plaintiffs conduct. When you defame someone, you tarnish their good name and reputation. Other synonyms used that you probably already know are libel and slander. Once you have served the defendant with the Statement of Claim, they generally have 28 days to respond to your claim. If the defendant does not respond within 28 days then you can ask the Tribunal/Court to make the orders that you are seeking. The making of the orders without a response by the defendant is known as default judgment. If you have been served with a Statement of Claim but you disagree with all or part of the claim made against you then you must file/lodge a defence. The defence will need to set out what you agree to and what you do not agree to in the plaintiffs claim. The defence will also set out your position/explanation about why you do not owe all or any of what the plaintiff is claiming. This is the person that has a claim made against them. This person is alleged to have done something wrong for example they may not have repaid their loan. This person needs to respond to the claim and allegations made against them and defend themselves where necessary. When someone creates something, a product, a service or even an idea, it is considered their protected property. A lot of the time, this term is synonymous with inventions but you don’t have to be an inventor to claim intellectual property. In a broad sense, ideas, concepts and processes that are unique to the creator are regarded as intellectual property. Artistic and literary works are also included in this definition and many other examples where a commercial aspect is at the centre of the property. Many people usually relate terms such as copyright, trademark and patent as examples of intellectual property. When there are already Court proceedings on foot, this is the form/application you need to complete and file/lodge if you are seeking orders pending final orders. For example, when you are unable to personally serve the Statement of Claim on the defendant, the application you make to the Court seeking substituted service is called a Notice of motion. This is the person that commences the proceedings; the person that lodges/files the application at the Tribunal or Court. This person bears the onus of proving that what they allege is true. This is the form that needs to be completed and filed/lodged with the Court to commence proceedings. This form sets out the type of claim you’re making for example debt recovery, motor vehicle etc. as well as what you’re claiming. The person lodging this form is the plaintiff and the person whom the claim is made against, is the defendant. Once this form is lodged it needs to be served on the defendant. The Statement of Claim must be served on the defendant no more than 6 months from the date of filing the application with the Court. We are all familiar with trademarks, even if we don’t always pay attention! Most notable brands have a trademark on their name, logo, brand, symbol, phrase etc. It is something that a brand and or product is defined by. Think of Apple. The company uses the tagline Think different, which is trademarked by Apple and cannot merely be used. A trademark verifies the product’s authenticity. Have you ever wondered why knock-off products are just that? This is because someone has illegally used the brand’s logo, phrasing, emblem and or symbol in the packaging and display of their own product. An apology letter is a great way to demonstrate that you’re remorseful about why you are appearing before the court. This ‘sheds some light’ on the facts, as to the events leading up to committing the offence/s, which is why you find yourself before the court. This an apprehended violence order. An avo is in civil form until it is breached. Upon being breached, the avo automatically becomes a criminal penalty. Penalties for breaching an avo include $5,500 and up to two years imprisonment. An apprehended domestic violence order. This order is for those people who have lived together, are related, in an intimate relationship, or who have previously been in any of these situations. This an apprehended personal violence order. This order is for people who have not had any form of domestic relationship, such as neighbours & work colleagues. When a person’s matter is moved from the Local Court to the District Court, they must be “arraigned”. This occurs on the first Court date in the District Court and is where the Judges Associate will read out the charges against you and you will then have to answer and tell the Court whether you are pleading guilty or not guilty. In practical terms, this process usually only occurs when a person pleads not guilty in the Local Court and their matter goes to the District Court to get a date for trial. If DPP is elected or you enter pleas of not guilty, brief orders are made. This is where the brief of evidence is either served on you if you are self-represented or if you have a lawyer then Service of the brief will usually be on your legal representatives. Upon the brief being served, your matter will return to the courts on reply. This is a much higher threshold than the test of balance of probabilities. This is the test in criminal matters. The test is that there is no other logical explanation that can explain the facts (conduct/cause/outcome), than what the prosecution allege. If there is a reasonable explanation for the facts/evidence and a reasonable possibility that the person is not guilty than that person should be found not guilty. The prosecution use the evidence to satisfy this standard. Character references are a another great way to show the court who you truly are and how this offence/s was out of character. When a person commits an indictable offence or strictly indictable offence and pleads not guilty, the Magistrate in the Local Court must look at the evidence and make a decision about whether there is enough evidence (on the balance of probabilities) that the person committed the offence. The defence can make an application to cross examine the witnesses or to make submissions about why there is insufficient evidence. The defence can also waive committal. Once a person has been “committed”, the matter is then listed in the District Court to obtain a Trial date. This is where your lawyer has the opportunity to ask the prosecution’s witnesses questions about their evidence. It also enables them to pose questions and statements to them in an attempt to discover the truth. This is also where the prosecutor is able to ask the defence’s witnesses questions about their evidence and to pose questions and statements to them in an attempt to establish the truth. A disputed facts hearing is when the parties do not agree on the facts alleged by the Police/victim/witness. A hearing occurs where the court will make a determination of the facts. The DPP also represents the State/Territory, just like the police prosecutors. Their role is to remain impartial and to present the evidence to the Court in a fair way. The DPP solicitors are lawyers (this is compared to police prosecutors who sometimes are not lawyers but have done a course which allows them to appear in the Local Court). The DPP is usually only involved when dealing with serious matters. Unlike a police prosecutor, the DPP can appear in the Local, District, Supreme Court and any other higher Courts. Depending on the seriousness of the offence, the police prosecutor may refer your matter to the DPP. The DPP will look at the charges and evidence and will then make a decision about whether they are going to “elect” to deal with the matter. If the DPP makes an “election”, it will be addressing your matter. Each Court usually has a specific day for dealing with these types of matters. If the charge is an indictable offence then the DPP can choose whether to keep your matter in the Local Court or have the matter dealt with by the District Court. This is where the prosecutor calls evidence from their witnesses (victim/police/observers) firstly and then the defence lawyer will call evidence from their witnesses (offender/observer). When an AVO is about to expire and if there have been breaches of the avo, it is recommended to apply for an extension to the avo. You can do this two ways, by either police or privately. However, you will need to apply well before the expiration of the current avo. Where a plea of not guilty has been entered, the matter will proceed to hearing. It is extremely important to have as much evidence as you can prior to this date. An indictable offence is a more serious charge than a summary offence but is not the most serious charge (see strictly indictable). The laws in NSW have a table that sets out what offences are indictable. There are two types of indictable offences, called T1 and T2. T2 offences are usually less serious than T1 offences. Unlike the summary offences, these charges may be dealt with in the District Court. Usually these offences will only progress to the District Court if the person pleads not guilty. There are two ways you can plea, either by entering a guilty plea or entering a not guilty plea. Even if you have more than one charge, you can enter separate pleas for each charge. Under Australian law, if you enter a plea of guilty at the earliest opportunity, you can receive a discount of up to 25% on sentencing. The police prosecutor is the person acting on behalf of the State/Territory. They are usually former police officers and sometimes do not have legal qualifications. Their role is to be impartial and to assist the Court in having your matter addressed. They are responsible for proving to the Court that you committed the offence with which you have been charged. If you plead not guilty, they will present evidence to the Court from the victim, complainant, witness and police. Police prosecutors only appear in the Local Court. Reply is when you return to the Court to confirm your plea of not guilty or to enter a plea of guilty. If the brief has still not been served or there are outstanding items, then further brief orders will usually be made and the matter will again be listed for reply. Representations are a form of negotiation in criminal proceedings to obtain facts amended, so that pleas can be entered and/or charges withdrawn depending on the matter. Once facts have been agreed upon, either because you accept the facts or because you successfully negotiated the facts or the Court determined your facts, and plea/s are entered, your matter will proceed to sentencing where the Judge will determine what penalty you should receive. It’s of importance that you are prepared prior to this court date. It is of benefit to have an apology letter and character references in support of your sentence. If a person is on bail or parole and or commits certain offences (some firearms, sexual assault and terrorism charges are examples of these types of offences), there is a presumption that the person should be refused bail unless they can show valid reasons why they should not be refused bail. This may include someone’s health, including mental health. Strictly indictable offences are the most serious offences with which a person can be charged. An example of this type of offence is murder. These offences can only be dealt with in the District or Supreme Courts. The actual charge will determine in which Court the matter appears. It is usually the prosecution’s job (police prosecutor or DPP) to provide the Court with the evidence, in order to prove that a person is guilty of the offence. It is not the defence’s job to prove that the person did not commit the offence. However, strict liability states that the onus of proof is on the defence to prove that they did not commit the offence. These are predominantly traffic related offences. Submissions can be either oral or written, or can be a combination of both. This is what you say that can have a significant outcome toward the judgment you receive. Submissions include giving a summary of the evidence, helpful information for your case, the weaknesses and strengths of the case and why a certain decision should be made. A summary offence is where the charges brought against you can only be dealt with in the Local Court. The prosecution cannot choose to have your matter handled by the District Court or Supreme Court. These are less serious charges such as trespassing. An affidavit is where you present all your evidence to the court. It is vital to include all relevant information and evidence in support of your position. If the other side has made false allegations, you will need to respond to them here. This refers to the process of dealing with an application in the absence of one of the parties and or without serving the other party with the application. An example of this is where you are seeking an urgent recovery order and the serving of the application will cause delay and put the children at risk. You will usually ask the Court to deal with the application and make orders ex parte therefore being made in the absence of the party and without giving notice/serving the party with the application. This is defined as proving that the allegations are true. In criminal matters, it is usually the prosecution that has to prove you committed the offence. However, in civil cases, the burden is on the plaintiff to prove that what they allege is true. This is the process of providing the other party with your documents. This provides them with notice of your application, evidence and position. There are many different ways to serve a person with your documents. The way in which you must do this will depend on the type of documents as well as the type of application you are serving. This is the threshold of proving that the allegations are true. This is the test that the person making the allegations (prosecution in criminal matters and plaintiff in civil matters) must satisfy before the Court can accept that what they say is true. In criminal matters, the standard of proof is beyond reasonable doubt, whereas in civil matters, the standard of proof is on the balance of probabilities. This is the process of requesting a person to attend the Tribunal/Court to give evidence and or requesting a person to provide the Tribunal/Court with specific documents. If you believe that a person is unlikely to attend Court and give evidence without the Court ordering them to attend, then it’s a good idea to subpoena the person to attend. If you require documents to support your application then you should subpoena those documents for example you may require documents from the other persons accountant or psychologist. You must make an application (form/application is a subpoena) to the Court and the Court must approve this application before the subpoena can be served on the specific person required to attend and or required to produce documents. The subpoena must be served on the other party and the other party has the opportunity to object to the subpoena if they do not agree with what is being requested. An example of when the other party may object is if the subpoena is not requesting specific documents and is just requesting “all documents held by” the person/company/organisation being subpoenaed. This is known as “fishing” which is not allowed. When a person objects, their objection must first be dealt with before the person will be made to attend and give evidence and or before the person is required to produce the documents. If the documents have been produced before the objection is dealt with, you will not be allowed to access the documents until the Tribunal/Court decides that the documents can be accessed. Depending on the type of form or application lodged at the Tribunal or Court, the normal way that a person must be served/provided with a copy of the form/application is by having someone hand it to them. This is known as personal service. When a person cannot be located or are avoiding service, and all avenues have been exhausted to try and locate the person and or serve the person, you can make an application to the Tribunal/Court to have the form/application served on the person in a different way for example by serving it on a person they keep in contact with (friend or family), be posting it to them in the mail or by serving it on them via social media. This process is known as substituted service. When there are already family law Court proceedings on foot, this is the application you need to complete and lodge if you are seeking orders in the meantime. An example might be that you now need to travel overseas and the other parent is not agreeing or perhaps you need money urgent and you ask the Court to make an order to sell some of the property. An affidavit must also be lodged in support of this application. Chain of custody is where a parent is required to undergo a urinalysis to screen for drugs. The testing (urinalysis) is supervised. A certain time frame is usually stipulated and outlines when it must be completed, in order to be valid. This is defined as being an assault against a child including physical and or sexual assault, causing the child to be involved in sexual activity and or causing serious psychological harm for example exposing the child to family violence. Therefore, for there to be a risk to the child, the child does not need to be subjected to family violence but may be exposed to it. A child inclusive conference is the process of the parents and children meeting with a consultant appointed by the Court. During this meeting the family consultant will ask each party and the children questions about the matter including putting allegations to them that the other parent may have raised. The parents and the children will be given the opportunity to tell the consultant how they feel and what they want. The family consultant will then prepare a short report (known as a Memorandum) which will give the Court a better idea of what the issues in the case are and to assist the Court to make interim orders. Consent Orders are when people have reached an agreement and to avoid going to court or incurring further costs, they place the terms of their agreement in written form. This written document is then sent to the court, in order to make the agreed upon terms legally binding. The Consent Orders are either passed in chambers and/or made by a judge. If court orders are breached, you can file a contravention application for the breach. This must be a real and significant breach. For example, one parent keeping the child/children. The Court will then review the evidence, hear submissions and make a decision about whether a person has breached the Orders. The Court may also sentence the person including Ordering make-up time, making the parent do a course or issuing a fine. Equal shared parental responsibility is where both parents must come to an agreement about the major decisions affecting a child. One parent cannot and should not make these decisions without discussing these matters with the other parent and getting their consent. For example, if one parent wants to enrol the child into a particular school, they cannot do this without the consent of the other parent. When family law Court proceedings are commenced, there is a presumption of equal shared parental responsibility. This presumption is rebutted if it is not on the child’s best interests for both parents to have equal shared parental responsibility. For example, there may have been child abuse or family violence (whether directly against the child or exposed to the child). Where issues of mental illnesses and/or lack of parenting capacity exist, it may be best that an expert report be ordered. This is where the parties have an interview with a professional (this might be a psychologist/psychiatrist). This expert reviews all of the evidence before the Court and based on that information and the information received and the observations at the interviews, the expert writes a report. In this report, their opinion about the issues in dispute and what could happen are provided. If you have concerns about a parent taking the children out of Australia then you will need to make an application for the children to be placed on the airport watch list. Once the application has been made and the children’s names are on the watch list, this will be sent to the Australian Federal Police whom are responsible for ensuring that the children do not leave Australia. This includes by air or by seas. This will remain in place until an order is made removing the children’s name. A family report is not dissimilar to a child inclusive conference in that the parties and children usually meet with the family consultant and are interviewed. The family report is generally much more detailed than the CIC report. The family consultant may interview people other than the parties for example the parties partners or parents or any other person involved in the care of the children. The family consultant may also make appointments for the children and the parent to be in the same room together. The consultant will generally observe the interactions between the children and the parent and these observations will form part of the report. The family consultant may seek you consent to contact other relevant people such as doctors or teachers. This may be to investigate and to substantiate what you say. The family consultant may also have access to the Court documents such as those subpoenaed by the parties. Once the interviews are complete and the family consultant has investigated all matters and are satisfied that they are in a position to prepare a report for the Court, the report will be written which will set out a history/background of the family, any issues in dispute, and risks to the children and any recommendations of what long term/final orders should be made or how the matter should progress. The report will be provided to the Court and only after the Court makes orders releasing the report, will the parties and or their legal representatives have access to the report. Sometimes an order will be made not to allow the parents to personally see the report for example where there is a risk that a parent will become angered and harm another person, the Court May Order that the parent not have access to the report. Family violence in defined in the laws dealing with family matters and involves any behaviour that causes another person and or their family to be scared about the other person causing harm to their safety/wellbeing or forces a person or their family to do certain things. This conduct may involve actual behaviour causing the person and or their family to be fearful or may involve threats of causing harm to the person and or their family. In property proceedings, each party is required to give full and frank disclosure for up to three years. This includes bank statements, superannuation statements and other information about your assets and liabilities. Financial statements are one of the forms which must be filed in relation to proceedings. This document identifies what you own and what debts you have. This also establishes what you want and what you claim the other person should receive. The statement shows the Court what this will look like. This is the application that you must complete and lodge to commence family law matters. This application sets out your details, the other parties details, the children’s details (if any), the relationship/marriage details and the orders you are wanting the Court to make. An affidavit must be lodged in support of your application. These are orders that are in place until final orders are made. Interim orders are legally binding and are enforceable. Once final orders are made, the interim orders will have no legal effect and are not binding. Interim orders can be made into final orders. Once parties have mutually agreed on an expert (for example, a property valuer for property or a psychologist for parenting), parties are to negotiate the terms on which they agree should be sent to that expert. This is called a letter of joint instructions. When one parent has taken the children and you do not know where they are, you can ask the Court to make an order to help you locate them. The Order will usually be on Government bodies such as Centrelink, to track the location. You can ask for this Order whether the parent has taken off with the children and you are also seeking a recovery order or perhaps you have not seen the children in a while and you want to spend time with them but don’t know where they are. Minutes of order is where you give the other parties and the Court a document disclosing what Orders you are seeking at that particular time. This could be in the interim or on a final basis. Sometimes, people’s positions change as time progresses, which is why the Minutes of Order need to be done. This demonstrates your position at that point in time to the Court and the other parties. Where there is uncertainty as to who the parent/s are, it is vital that parentage testing be ordered. This involves DNA testing. Parental responsibility relates to all major decisions that need to be made about a child including schooling, medical, health, religion etc. Where there is intimate family overseas and there are children with passports, it is advisable to seek the court to hold the passports with the registrar. This is actioned pending further orders if you believe there is a risk that the parent may take the child/children out of the country and not return. If the other parent wants to travel overseas, it is recommended to seek travel orders. Travel orders require a parent to provide an itinerary and contact details as to where the child/children will be located. When one parent has taken children without your consent, you can ask the Court to make an order that the children be returned to your care. This application is usually made when the children are taken by the parent they do not live with. Recovery orders are usually needed when the children are usually just spending time with the other parent or maybe the other parent has turned up to the house and taken the children without your consent. It is important to make an urgent application for the recovery of the children. The longer you wait the less likely the Court will make an order returning the children to your care. This application is also available to grandparents and aunties/uncles or any person that the children live with. When you have been served with an initiating application to family law proceedings, whether relating to children or property or both, it is recommended to have your response to these proceedings filed at your earliest opportunity. Your response will allow the court to see your position from the applicant (the person who filed the initiating application) and what you are seeking. Where there is urgency, it may be a good idea to have service dispensed with. This means that you are asking the Court to make a decision as well as the Orders you want, without having to give the other party notice. Where there is urgency in having the matter listed, you will need to seek leave for the matter to be shortlisted. This is where the matter is listed and heard at short notice. Sole parental responsibility is when one parent is able to make all major decisions about a child’s health and well-being to the exclusion of the other parent. That is, the parent that has sole parental responsibility does not need to obtain the consent from the other parent in relation to the child’s schooling or religion nor does that parent even need to discuss these decision with the other parent. Spend time with orders are Orders that define what time the parties will spend with the child/children. These should be sought where the other parent has sole parental responsibility and the child/children lives/live with them. Spend time with is also suitable for those parents who have equal shared parental responsibility. This is also a great avenue for one parent to maintain a relationship with their child/children, especially if there are risks for the child/children to be around that parent unsupervised. If you were financially dependent upon your spouse, you may be entitled to claim spousal maintenance depending on your position. Spousal maintenance is where one person financially supports the other person even after separation. This occurs when there is a real and significant risk due to one parent lacking parental capacity. For example, a parent using or exposing the children to abuse, family/domestic violence, drugs, alcohol or mental health issues. You need to demonstrate to the court that there is an unacceptable risk to the child/children if allowed to see that parent unsupervised or even at all. You will be required to provide relevant evidence to prove this and show the Court why a risk to the Children exists. This an a written promise to either do something or to not do something. For example, in family law matters you may sign an undertaking not to sell your property until the Court deals with your matter or perhaps it may be an agreement not to contact the other parent. In other matters, you might sign an undertaking to pay your previous lawyer their fees before you receive your money from your claim. A mutually agreed valuer is appointed to undergo a valuation of the property/properties in question. This is an avenue where there is a dispute as to the market value of the property/properties in question. These are the terms used when FaCS remove children from their parents ie the children are assumed into the care of the Minister. Children are assumed into the Ministers care when there are reasonable grounds to believe that there are serious risks of the children remaining in the parents care, that these risks are immediate and that there is no other option to protect the children other than to remove the children. The children are therefore considered to be in need of care and protection. This document sets out the risk of harm to the child and the reasons why the child was removed from their parents. If also sets out what care the child has been receiving and what the future plan is for the care of the child including whether there is a realistic possibility of restoring the child to the parents and if so, how this will occur and if not, why not and how often the child will have contact with their parents each year. In this document will also include the contact arrangements for the child to have contact with other family members and siblings (if not living with their siblings) as well as addressing the cultural needs of the child and how these are and will be met. This is the first phase in care and protection matters. This is where the Court needs to be satisfied that at the time of the children being removed, the children were in need of care and protection. The Court can make this decision either by consent from the parents or following a hearing of the evidence. After it is established that the children were in need of care and protection at the time of their removal, the next thing the Court needs to determine is whether there is a realistic possibility of restoration (this is known as the second phase of the proceedings). This is where the child is placed in the care of a relative or someone close to them as opposed to being in foster care. For Aboriginal children this may mean that they are being cared for by a relative (immediate or extended) or by someone that has a cultural and or community connection which is shared by that child. If it is not in the best interests of the child for them to be returned to their parents then there is usually an order made that there is no realist possibility of restoration and therefore there is no way that the children could possibly be safely returned to the care of the parents. When a child is removed, parental responsibility is usually held by the Minister (FaCS) until the matter is dealt with on a final basis in which case parental responsibility may go back to the parents or to the child’s carer. This means that the Minister (FaCS) will make all major decisions relating to the children including their schooling, health etc. This is where the Court determines that it is safe for the children to be returned to their parents are that it is in the best interests of the children to be restored to their parents care. This is the process of returning the children to their parents care. This is a report received by FaCS which states that the children are at risk. These reports may be made from a person with mandatory reporting obligations for example a school, it could be made by a neighbour, observer, family, friend or a person wishing to remain anonymous. This report sets out what the risks are which could include physical, sexual and or psychological harm. The children may be exposed to domestic violence, drugs or alcohol use or perhaps they have been neglected or physically abused. These reports are kept on file by FaCS. If the risks are not serious or immediate then FaCS may investigate and decide to take no action. There may be the possibility of the risks becoming serious and immediate and so FaCS may investigate and become involved in the family’s life to try and address the risks without removing the children or FaCS may remove the children if the risks are serious, immediate and no other option is available to protection the children. Once a child is removed, all of the ROSH reports form part of the evidence, even if no action was taken at the time FaCS received these reports. If FaCS receive ROSH reports and they become involve in the family’s life, they will usually put together a plan to address the safety needs of the children. If the risks are not serious and or immediate, FaCS will generally try to address the safety needs of the children without removing the children from their parents. This plan will set out what the safety risks are and how they can be addressed. For example, the father may be the victim of domestic violence by the mother and the safety plan may be that the father can not be in a relationship with the mother and or not bring the children into contact with the mother. If the safety plan is not complied with and the risks to the children are serious and immediate then FaCS may decide that this option is no longer suitable and that the only option is to remove the children to ensure their safety. If your whole person impairment is in dispute, where you and the insurer cannot come to a mutual agreement as to the percentage of your impairment, and in certain cases, it may be best to seek a referral to an approved medical specialist to determine the whole person impairment. If you have had a whole person impairment determination/settlement in the past. Depending on your matter, you may be eligible to claim for a further lump sum compensation. This usually involves another amount of money paid in a lump sum at a later date. Workers who have injuries can claim for their medicals to be approved prior to undergoing certain surgeries and/or medical intervention. Workers may be able to claim for reimbursement for some medical treatments. Medicals include necessary treatments. A medico-legal report is a report which is issued after being assessed by a medical doctor who specialises in the area/s in which you are impaired. This person does an assessment and makes a decision as to the person’s impairment and treatment into the future. This decision/report is binding. This is the concept used when determining the degree or percentage of your physical or mental impairment. The percentage is given based on how much your injury permanently impairs you as a whole person. Workers may have an entitlement to claim for weekly payments, depending on the matter and their injuries.